American toy company, Bunnies By The Bay, has been creating some of the world’s most lovable toys since 1986. 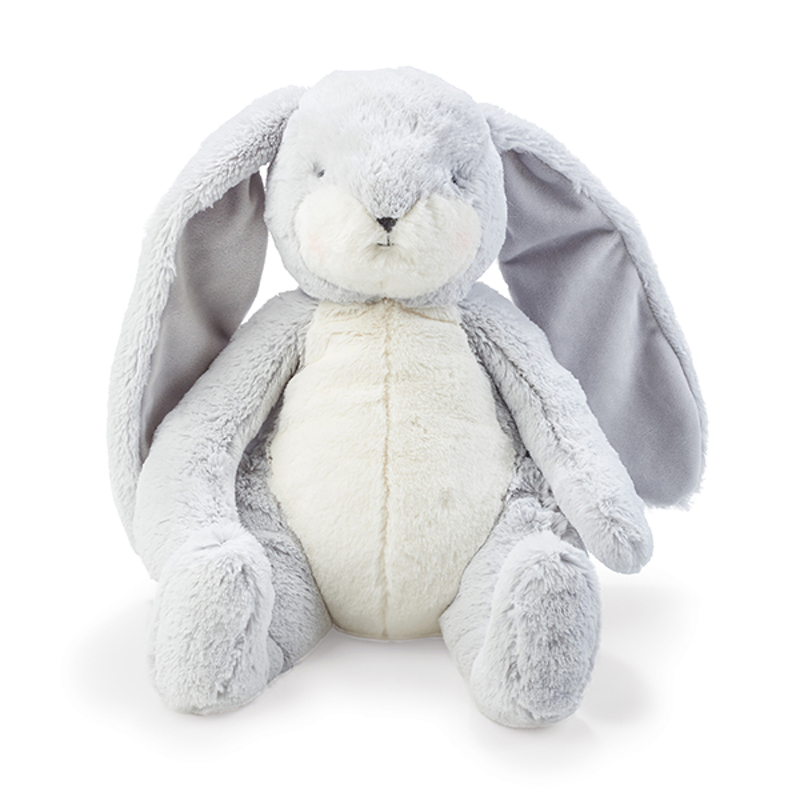 This adorable Sweet Nibble Bunny in Pink is the ideal gift for a one-year-old. Bloom bunny is incredibly soft with grey and white fur along with velour lined ears. Best of all, he has a hand embroidered face, pink cheeks and a big, fluffy tail. Made from faux fur velour ears. Hand embroidered face with pink cheeks.